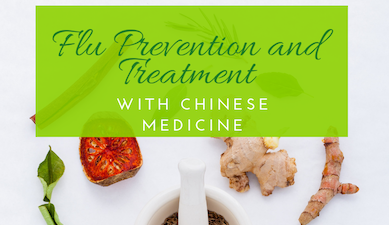 It’s the time of the year when we get so many questions about flu prevention and treatment with Chinese Medicine. Herbal medicine and Acupuncture both can have a profound impact on strengthening the immune system. A strong immune system will prevent cold and flu altogether or make the outbreak of disease less severe. Strong Herbs can assist in treating the flu and reduce the time spend recovering from illness. There are also some basis steps you can take that apply to Western and Chinese Medicine, read more in the article Lifestyle Tips for Flu Prevention. There are many Chinese herbs that strengthen the immune system and treat disease effectively. The most known are Ginseng, Echinacea and Astralgus Root. During the first SARS outbreak in China several years ago herbal formulas played a significant role in fighting this epidemic. If you are interested in taking herbal formulas to treat an illness or to boost your immune system please consult an Acupuncturist to prescribe those herbs. Chinese Herbs are medicine and quite potent. They need to be prescribed by a professional in order to be effective and safe. What to do if you already have a cold? • Make sure that you drink plenty of fluids; I recommend ginger tea. Ginger is warming and will make you sweat. Sweating helps your body to break the fever. • Chinese pharmacopeia has many herbs that have potential to kill viruses and/or bacteria causing respiratory infections. Combining them with herbs that stop cough, moisten the respiratory tract and strengthen the immune system. Those formulas are amazingly effective. 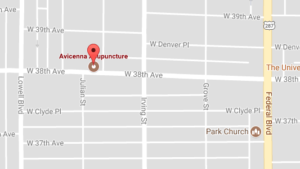 • We use them often at Avicenna to help our patients recover faster. • Acupuncture helps manage respiratory symptoms like cough and congestion. It reduces fever, alleviates body aches and induce deep relaxation. Please note: this article does not replace a medical consultation with your doctor. We here at Avicenna would love to put together a customized herbal formula for you. It will help you stay healthy during the winter season. 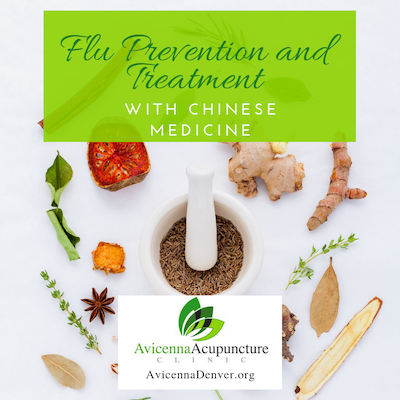 Contact us to get on the schedule and hear more about flu prevention and treatment with Chinese Medicine.